E.Maxporcelain veneers are a method of ceramic dental restoration, which requires a minimum preparation of the natural tooth. With E.Max we can achieve excellent results, because of its cosmetic qualities and longevity. E.Max is translucent in color and is combined with extra strength and durability. Very natural and aesthetic results. Three times more resistant to fracture than conventional dental ceramics. Nobody will know that you’ve had dental restoration. Low wear of natural teeth. 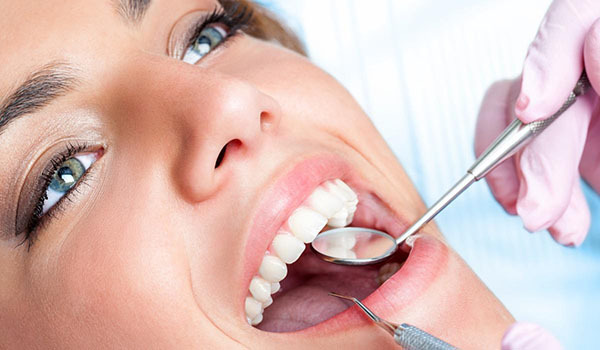 Are you looking to improve the aspect of your teeth? 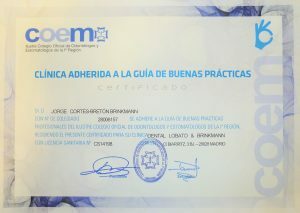 The Lobato&Brinkmann dental clinic follows the best practices as establishes by the College of Dentists and Stomatologists of Madrid (COEM).The COEM awards this certificate to centers that have an impeccable track record in terms of transparency and relationship with the patient. 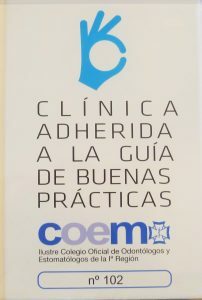 The services we provide in our clinic focus on the well-being and respect for the patient and confirms our commitment to carry out quality care, as well as transparent and truthful advertising..